Highlands at Withers Preserve: Conventionally Built Homes in the Withers Preserve community on the former Myrtle Beach Air Force Base in Myrtle Beach, SC. Exquisite low-country homes with covered porches and interiors featuring the finest details and appointments. 2-car garages and loads of standard features. Become a part of this exciting new lifestyle in a ground floor new home opportunity. - Call Now! Withers Preserve along with the new "Market Common" urban village will truly emerge as the new heart of the City of Myrtle Beach. Stop by on your next visit to The Market Common. A True Lifestyle Community. Highlands Homes are priced from mid $200,000. New homes in The Highlands at Withers Preserve bring alive memories of the past designed into homes of today. Myrtle Beach's new seaside town is under construction. 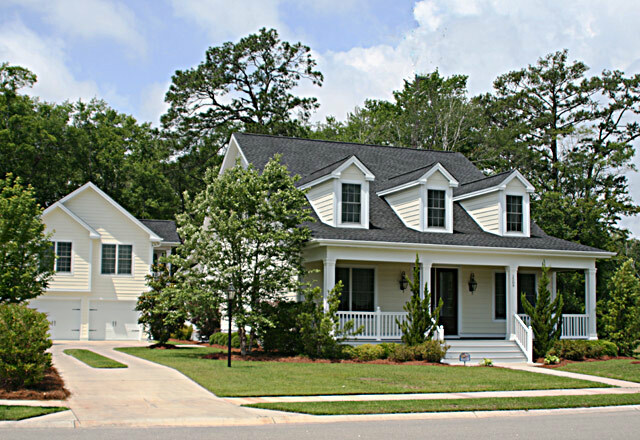 Neo-traditional homes in a low country style with covered front and back porches. Driveways alongside the home to garages in the back. You'll fall in love with the streetscape of tree lined sidewalks on both sides of the street. State of the art construction and just around the corner from the sophistication of The Market Common -- The lively new gathering spot for the whole community with exciting restaurants and retail shops. Model homes open daily. Come by for your personal tour. It's the Withers Preserve Life and it can be yours today. One of Myrtle Beach's finest builders, Classic Homes, stands ready to assist you to design and build a superior home that preserves a genuine standard of living. Seagate Village Click to Learn all about Seagate Village! Your Home at Seagate Village incorporates the best of Myrtle Beach. Who says you can't have it all... Myrtle Beach and the whole of the Grand Strand combined with the new Market Common and the tree lined streets and majestic oaks that make Seagate Village what it is... Adjoining over 200 avres of City Parks and the Crabtree Memorial Gym Come Enjoy!! Come see, and Come Live the Life!! The pleasures of the beach will be yours all the time!! 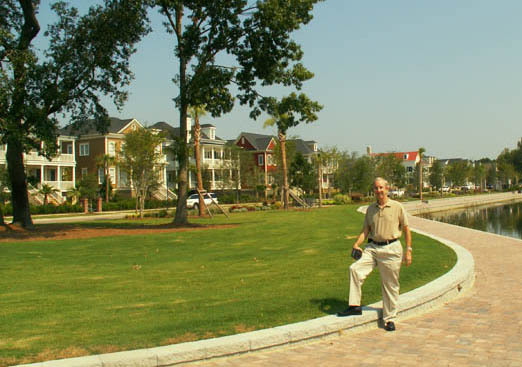 As an on-site agent with Coldwell Banker Chicora Real Estate at The Cottages on Farrow Parkway in the Market Common/ Withers Preserve District, on the Former Myrtle Beach Air Force Base, I've oriented this site to introduce you to Withers Preserve, and the Market Common. New homes in the neo-traditional or Low-country style being built. I invite you to view the plans and photos of the properties of each of these communities. You are invited to come and visit. Market Common and Withers Preserve and discover how this area will soon become elete destinations joining such communities as the Grand Dunes, Carolina Forest and other Surfside and Garden City communities in the Greater Myrtle Beach area. I also have additional information including a link page to area golf courses a Myrtle Beach message board and a schools and colleges page. You will also find Myrtle Beach area recreation information. Send your request for more real estate information, or to ask about any of the new home communities or homes and condos for sale. All this within a short ride to over 100 of America's best golf courses. Myrtle Beach New Homes are as close as a phone call. (843) 267-2000. Wally's Schools and Colleges Page provides the links and school data on Myrtle Beach and Horry County Schools and Colleges. Check it out! Get your own School Report Profile. BB&T will help you through the some times difficult task of getting a mortgage. Get Mortgage information right here. Learn the programs. First Time Buyer? Try Us Out! The answers are here The State of South Caorlina Tax Guide provides data on all types of taxes you'll encounter in your move to Myrtle Beach. Retirement, Income and Sales tax information. Need more information on Retirement before you strike out on buying that new home in Myrtle Beach. Check out the Retirement News! Links and information of Retrement in Myrtle Beach A listing of what National Publications are Saying About Myrtle Beach - World's Best Beach! Here's Wally's favorite Myrtle Beach vacation information web site featuring Resturants, shopping, golf courses, live entertainment, places to stay - Hotels, Motels and Condos, plus thinks to do along the beach. photos and camping news too. Check it out and see! Looking for Myrtle Beach Real Estate? View houses and Condos in Myrtle Beach and surrounding areas. Are you interested in the Carolina Forest Area of Myrtle Beach? You will find all of the information needed at Myrtle Beach and Carolina Forest Real Estate.